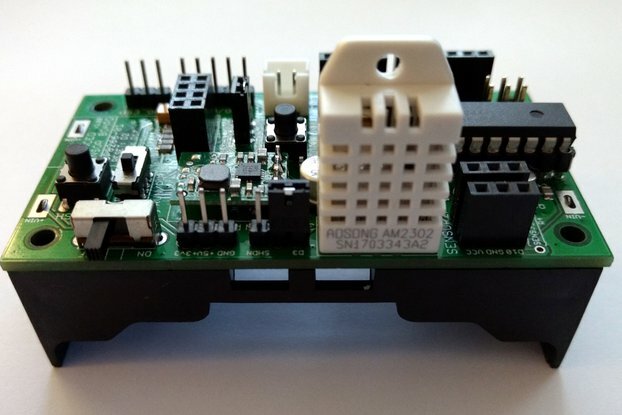 This module - and the associated library - allow you to connect up to 16 HC-SR04 ultrasonic range sensors to an Arduino using the I2C bus and one hardware interrupt pin. 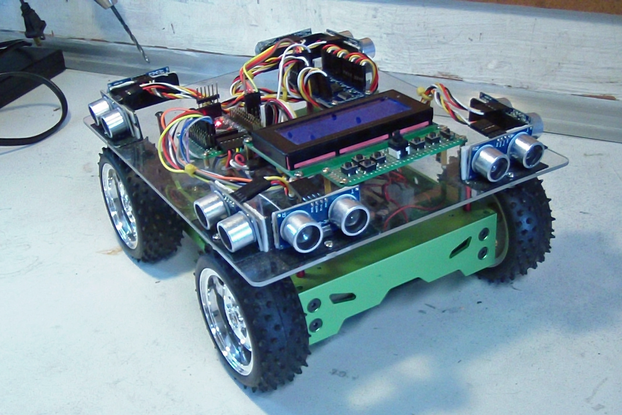 I wanted more sensors on my robot to help it navigate. 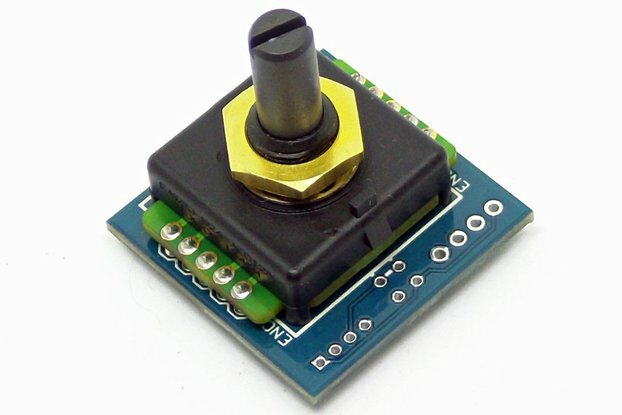 I'm too cheap to buy a mega board with enough pins or smarter sensors that need less pins. My initial board supported 8 sensors which I placed around the robot, two on each of the four sides to allow the measurement of the alignment to the maze wall without moving. This left blind spots at the corners - which called for more sensors. As they make a 16 pin version of the chip, I figured: why not? The library handles all the timing, and the hardware interrupts provide surprisingly high accuracy. 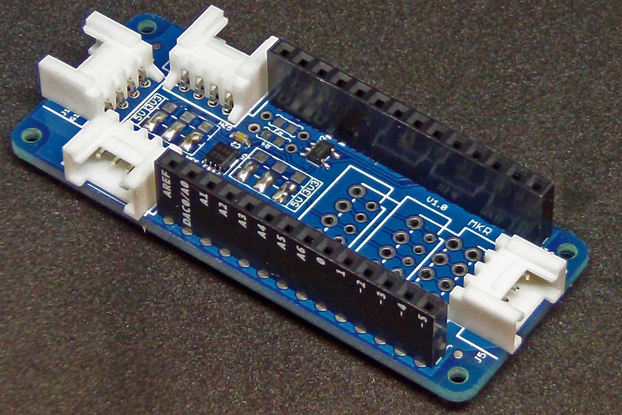 Each unit is individually tested using an Arduino test-bed and ships with separate pin headers. 12 sensors can be supported with 8 four-pin wires in combination with my Trimount brackets by plugging them in at right angles. 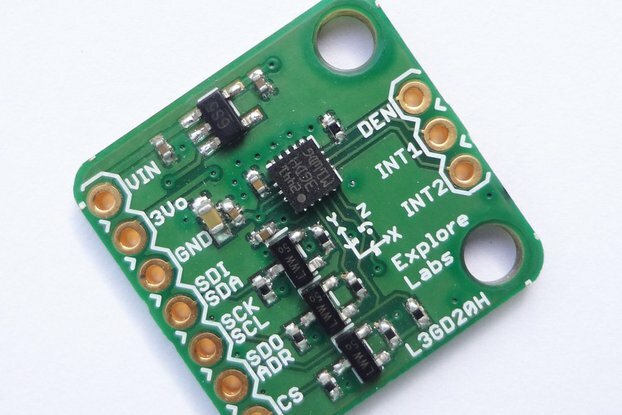 I2C address is set to 0x20. This can be changed via solder jumpers. 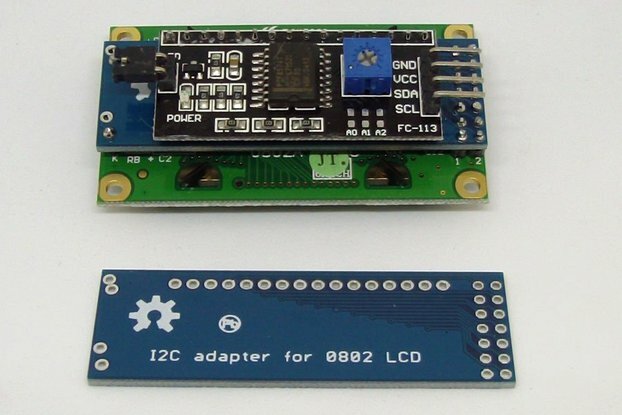 support for 5V and 3.3V Arduinos. 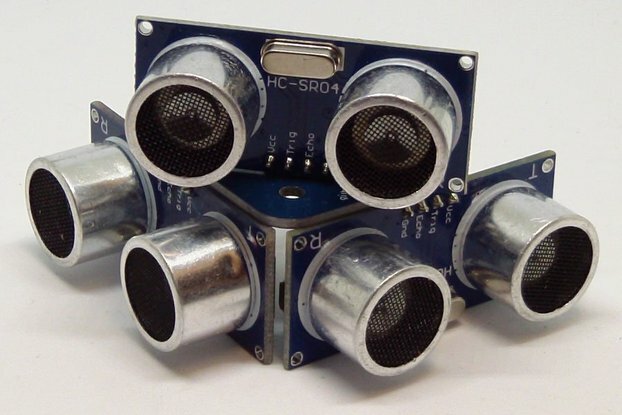 Please check out the Hackaday documentation and the github library for more info.